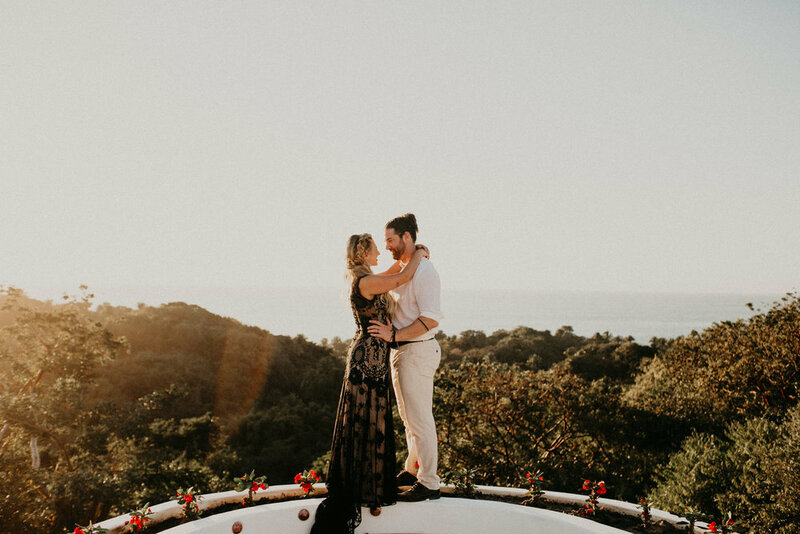 This past year has been full of so many incredible weddings. 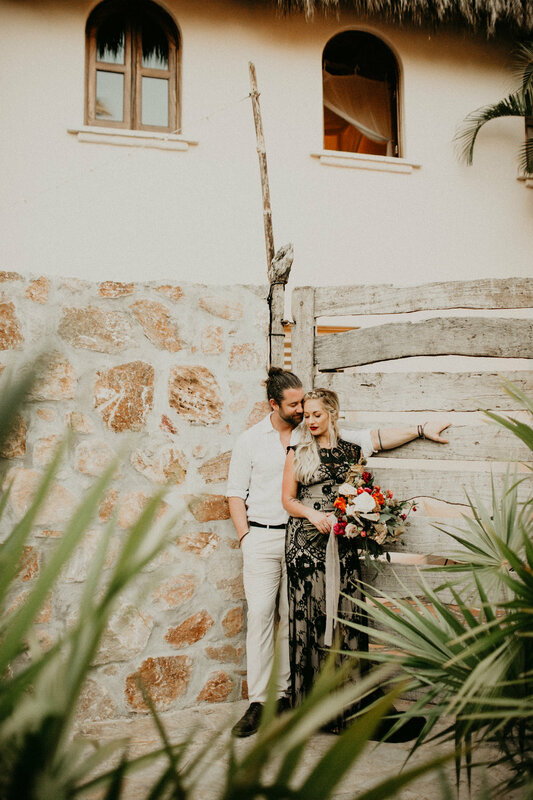 Being based in such a popular location for destination weddings, every year the demand for professional hair and makeup services only seems to increase. 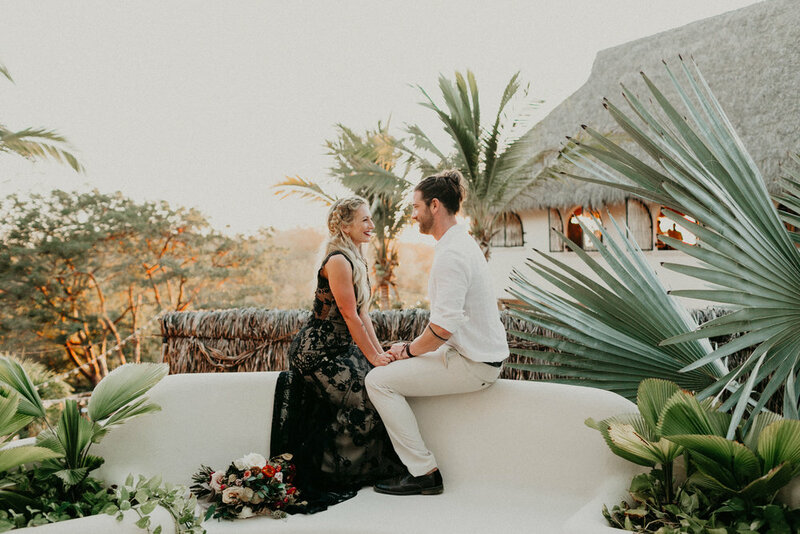 Assisting my clients to the fullest, easing the stress of planning a wedding in a foreign country, and providing them with an exceptional experience has always been my top priority. To ensure that stays the same, a major goal I wanted to actualize this year was the expansion of my team. With the addition of a second team, future clients are looking forward to things such as budget friendlier pricing, more availability, etc. Well, the time has arrived. I am so excited to announce that the second bridal team has already begun working weddings and are absolutely killing it! Justine was our lead bridal artist for Tiffany’s wedding. She did an incredible job getting Tiffany ready for her big day. She looked absolutely STUNNING with her bold red lips and her gorgeous loose braid! Great job Justine, I know that our clients will always be in good hands with you! Tiffany’s bouquet was exceptional, with the red highlights which nicely accentuate her lips. It’s always exciting to have a bride who is eager to reflect their own personal style. Tiffany’s unique bridal look could not have been more perfect. Her elegant black lace dress and choice of accessories was everything! It was a nice deviation from the norm seeing Tiffany with her dark dress and her groom in white. Such a stylish couple those two. The venue, Villa Valentin, never disappoints. 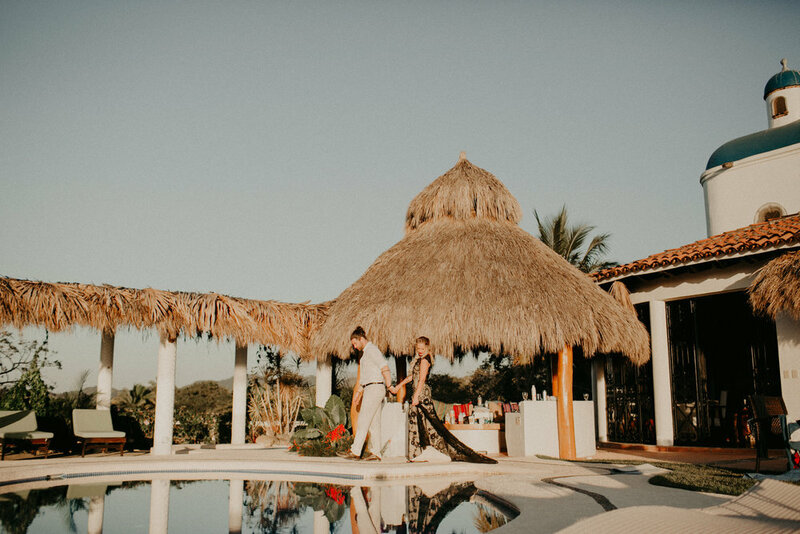 Such a beautiful Mexican styled villa with blue domed roofs and a view over looking the jungle and further off the ocean. 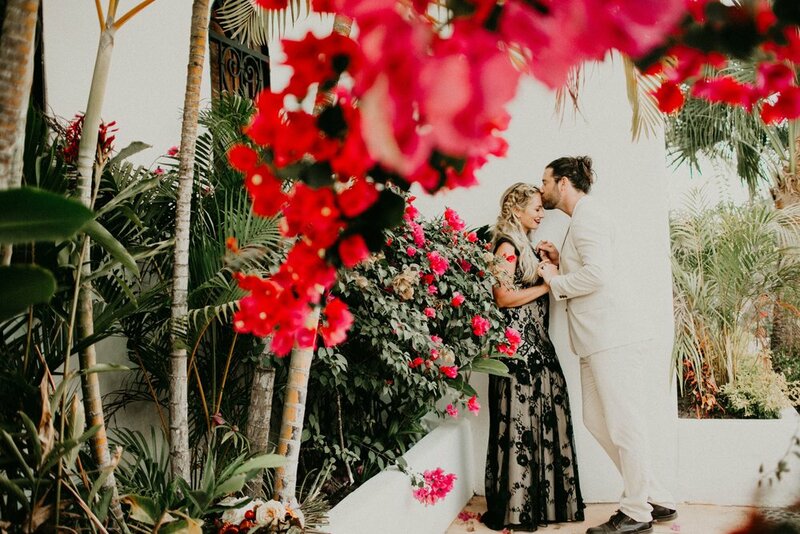 The vegetation of cactus and vibrant flowers in bloom really made for a dreamy surroundings. These two spent a day of total perfection. 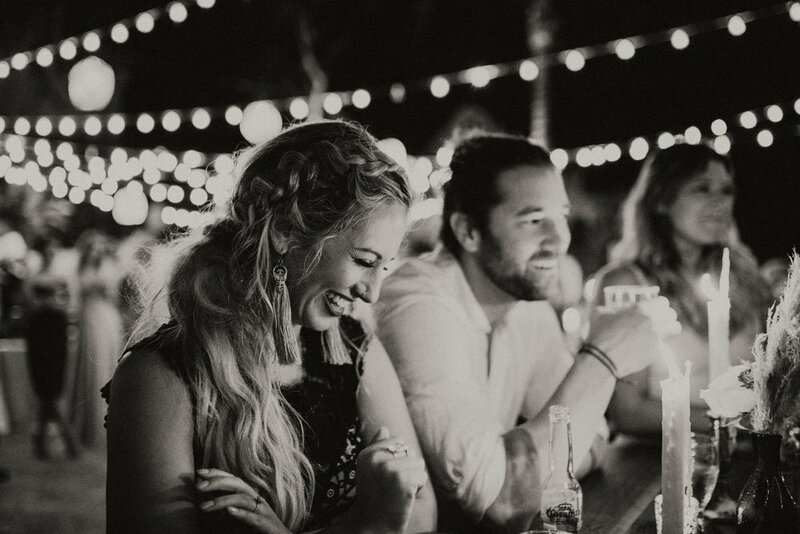 There isn’t much more beautiful than finding someone who always puts a smile on your face. From what I can tell, Tiffany, will spend a life filled with laughter. Congratulations Tiffany and Ben, I, and everyone on my growing team wish you both all the best! 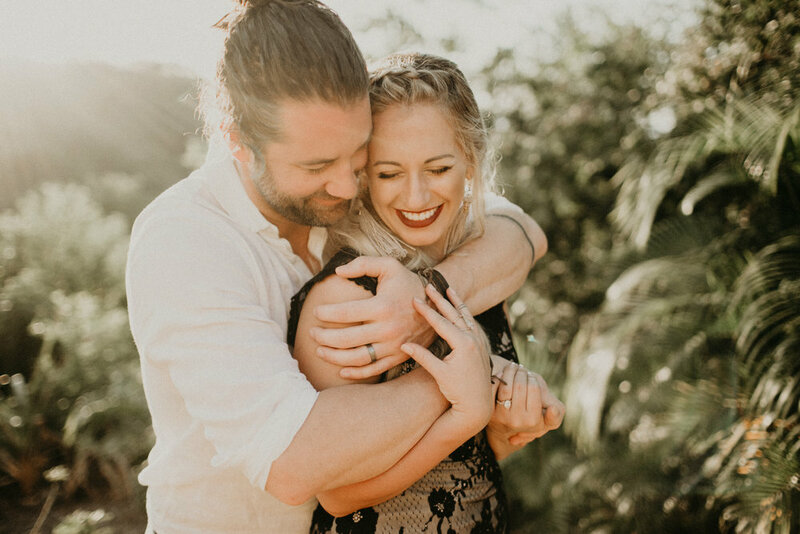 Erin and Greg got married earlier this year and I absolutely loved the relaxed yet glamorous vibe of their day. 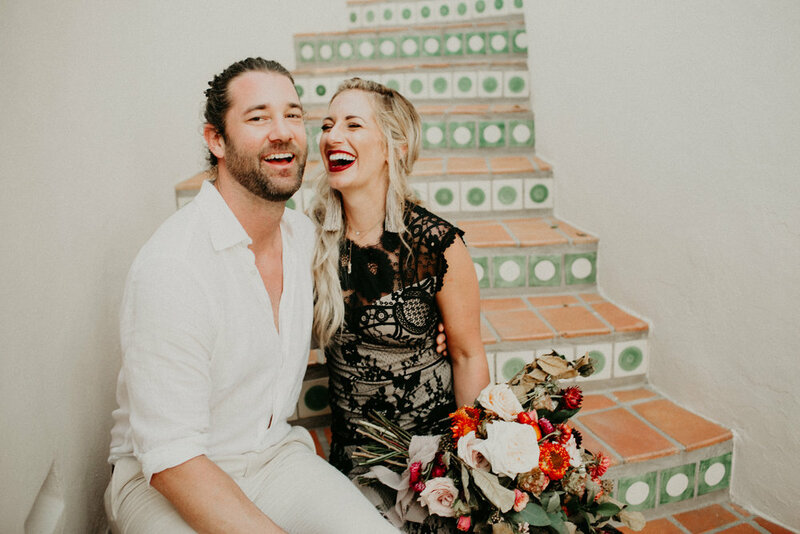 Erin was a total knockout and rocked her wedding look like a pro, and Greg looked dashing in a casual 3 piece suit. 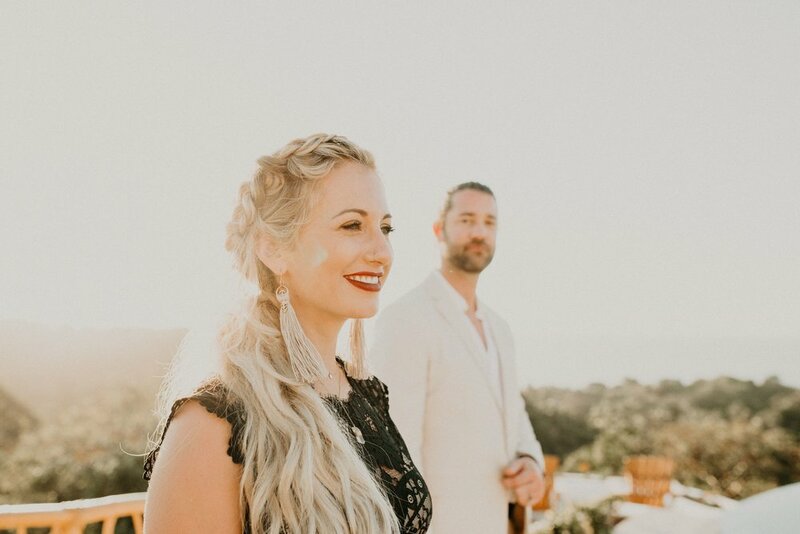 I was a BIG fan of Erin’s classic and glamourous bridal look with perfect vintage waves, a simple and classic color palette for her makeup, and a single white flower behind her ear. Seriously, how can you go wrong with this beautiful look?? On top of that, Erin is total babe inside and out, and voila! 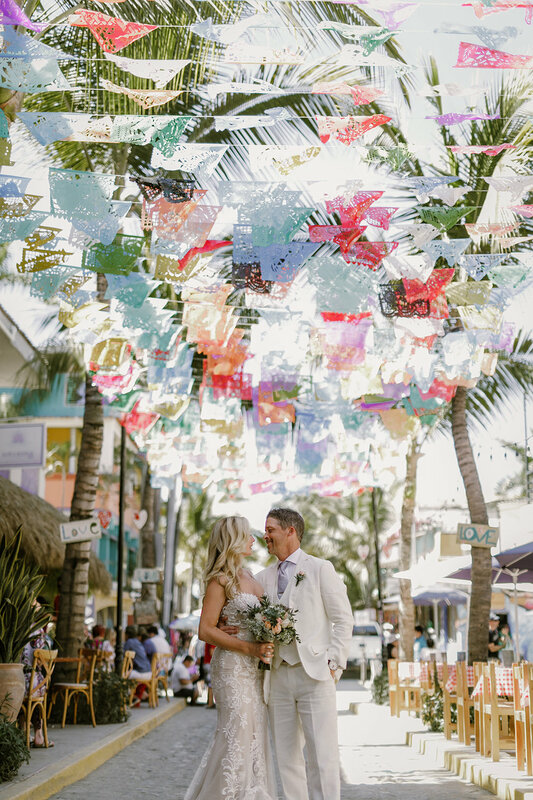 One smokin’ hot Sayulita bride! 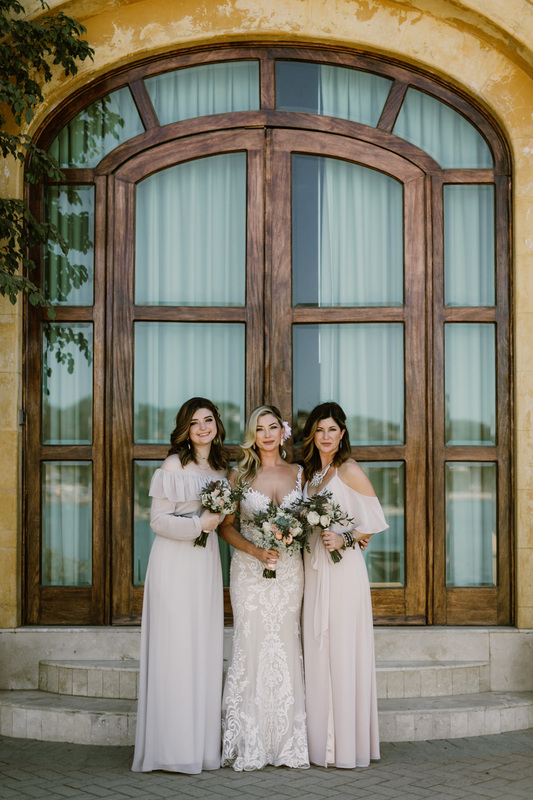 This is how you do a glam bridal look for your beach wedding and have it completely make sense! 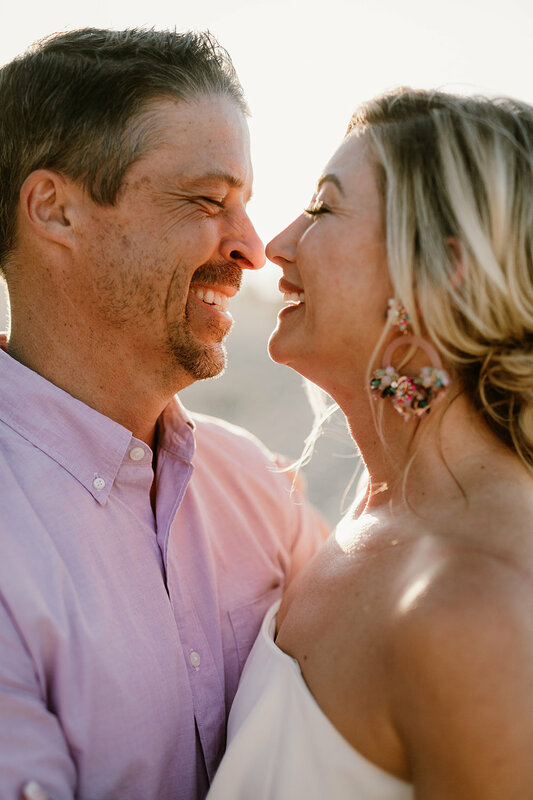 Thanks so much Erin for choosing me and sharing your precious getting ready time with me-I know how intimate those moments are and feel so privileged to be a part of those memories for you. I loved meeting you and your amazing family-you guys killed it as the bride squad!!! 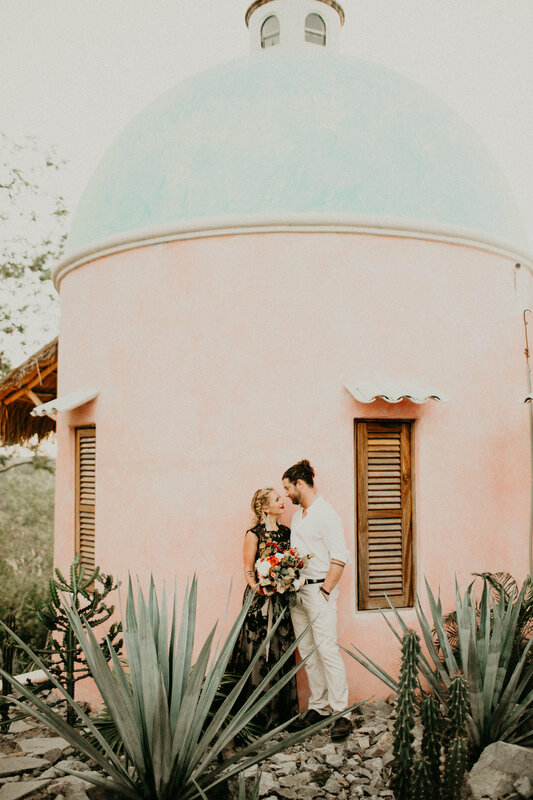 When Ali contacted me to inquire about doing her hair and makeup for her elopement at the stunning Verana Boutique Hotel in Yelapa, Mexico, I was totally stoked! 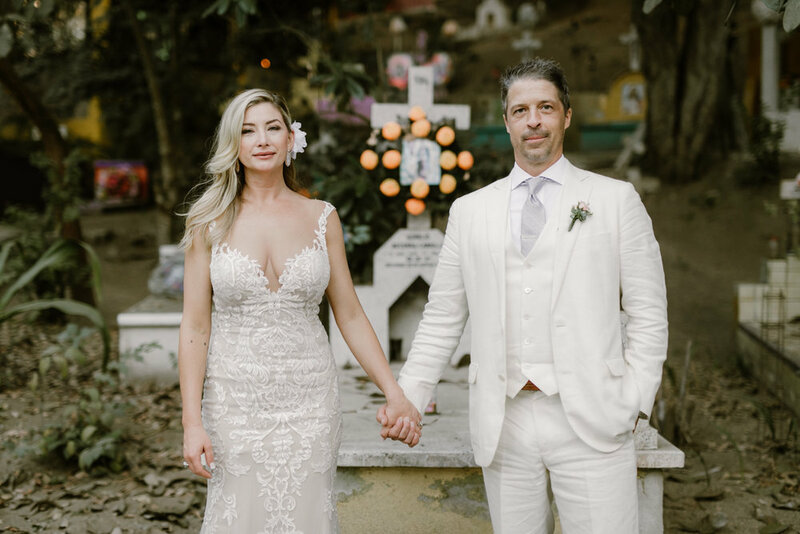 Not only is Yelapa one of my favorite getaway spots to completely chill out, but it was with one of my favorite photographers, Tom Moks Photography at a place I had always wanted to do a wedding at,Verana, as I had been told it was absolutely stunning! Let me tell you, it didn’t disappoint! If you haven’t heard of it, check it out. It’s stunningly beautiful, super private, quiet, and the service is impeccable. I lost one of my favorite earrings on my way up for the trial and was heartbroken that it was gone. The next day when I went back to do Ali’s bridal services, there was my earring. One of the groundskeepers had found it and the concierge remembered I was looking for it. Now THAT'S impressive! And of course, I’m a huge fan of Tom’s photography. 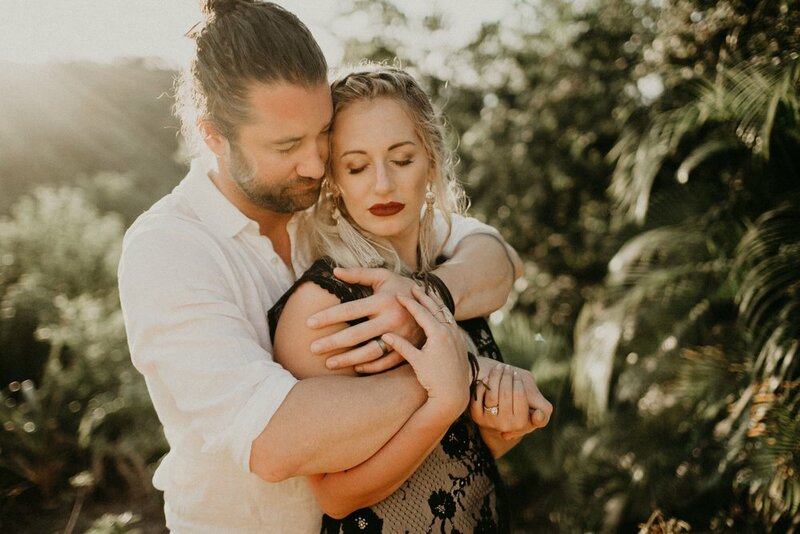 He captures emotion so beautifully, is really easy to work with, and the style and mood of his photographs always reminds me of a high fashion magazine spread! As a client, you can’t help but feel like a supermodel! The day before the wedding, I went to do Ali’s trial and style her for her engagement session with Tom, which was sizzling hot!! When I met her, I just thought, not only is she extremely down to earth and sweet, but this girl is a babe and she is gonna kill it! When you take a look at these photos, I doubt you could possibly disagree! I am pretty sure I'm totally infatuated with the images!!! These two are the sweetest. I love that they wanted this moment in time to be just for them. Personal, private, and completely intimate. I have to say, this is one of my favorite weddings for that very reason. It’s easy to forget that this is your day, and your way. No detail was left to chance, and every detail had a simple motivator-the other person, and expressing their love completely, truly, and privately. The venue, the photographer, the dress(wow, what a dress!! ), hair, makeup, all of it. I felt honored to be a part of it and wish them both a lifetime of happiness!! !